Kerry said on Dec. 9 that he was hopeful to visit Russia next week for talks on Ukraine and Syria. The possibility of U.S. Secretary of State John Kerry's visit to Moscow is being considered, Russian Foreign Ministry spokesperson Maria Zakharova has said. "At this point, I can only say that this visit is at the stage of consideration," Zakharova told a press briefing. The Associated Press agency reported that Kerry had made this announcement on the sidelines of the Climate Conference in Paris. 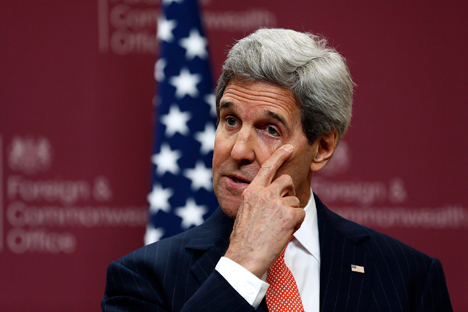 According to the Associated Press, Kerry announced his plans to meet with Russia's president and foreign minister. The Kremlin, for its part, has not ruled out that Russian President Vladimir Putin may meet with the U.S. secretary of state during the latter's visit to Russia.